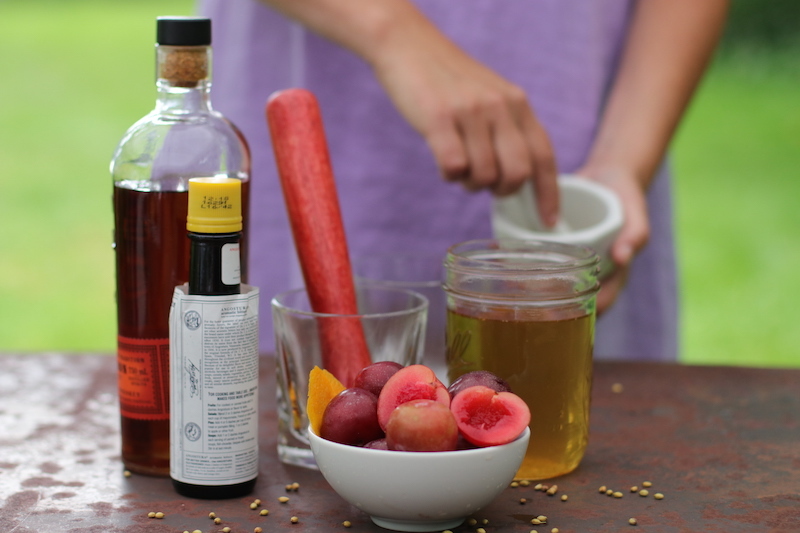 Give the classic Old Fashioned a festive fall spin by substituting the sugar cube and maraschino cherry with coriander simple syrup and local plums. The coriander adds an unexpected flavor twist and the plums provide tartness and a pretty jewel tone your guests will love. 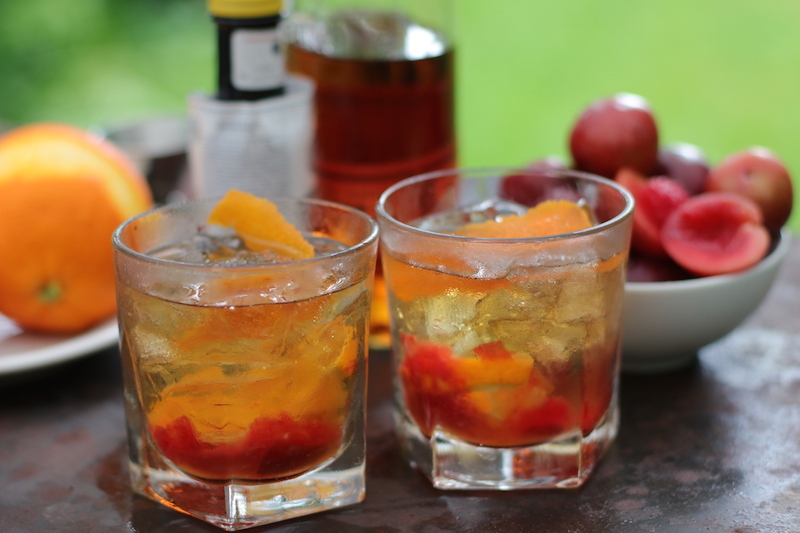 Combine plum, orange slice, bitters and simple syrup in a heavy bottomed rocks glass. Muddle. Fill glass with ice, add bourbon. 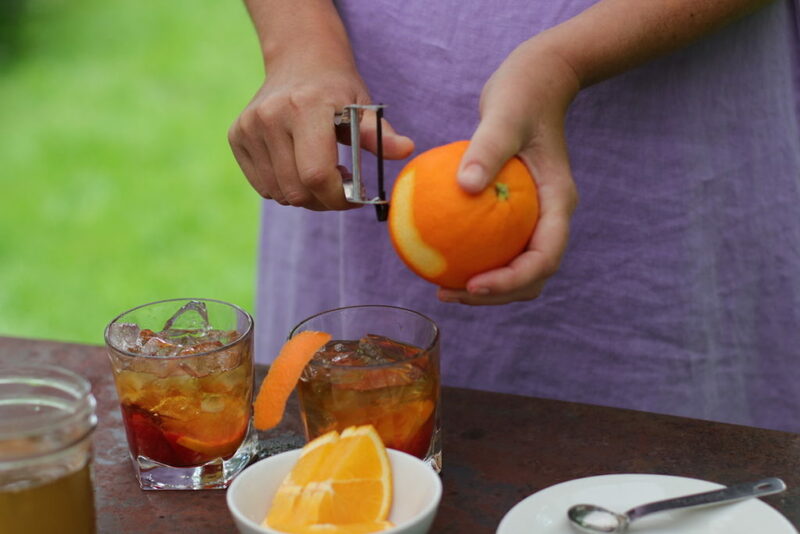 Stir and add orange twist to garnish. Put sugar and water in a saucepan over low heat to melt sugar. Meanwhile, place coriander in dry saute pan over low-medium heat. Keep pan in motion until the seeds start to brown and release their aroma. Crush seeds in a mortar and pestle. Add the crushed seeds to the sugar-water mixture and bring up to just below a boil. Remove from the heat and let seeds cool in the syrup. Strain & set aside. Will keep for 2 weeks tightly covered in fridge.